Dolwyddelan: Accommodation, Attractions, Activities, Going Out, Shopping, Things to Do, Places of Interest, Outdoors, Dolwyddelan Holidays, Dolwyddelan Area Location, North Wales. Another village famous for its castle. Dolwyddelan Castle stands in a magnificent location deep in Snowdonia. The Castle was built in the 13th century, to control a strategic pass through his mountainous kingdom. It can be seen for miles around, a visit to the castle is worth it for the views alone - stunning views of mountains all around.. Some of the activities you can enjoy here: Orienteering, Climbing, Walking, Canoeing, Mountain biking, Pony trekking, Painting, Golf, Fishing. The beautiful spots worth to visit include Bala lake, Mount Snowdon, Beach/coast 15 miles, Conwy valley, Betws-y-Coed area. 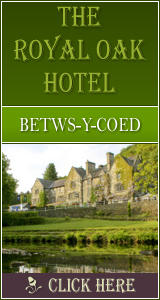 Holiday Cottages for rent in Snowdonia, North Wales Self catering accommodation in Snowdonia - Ysgoldy and Dolbryn Holiday Cottage.